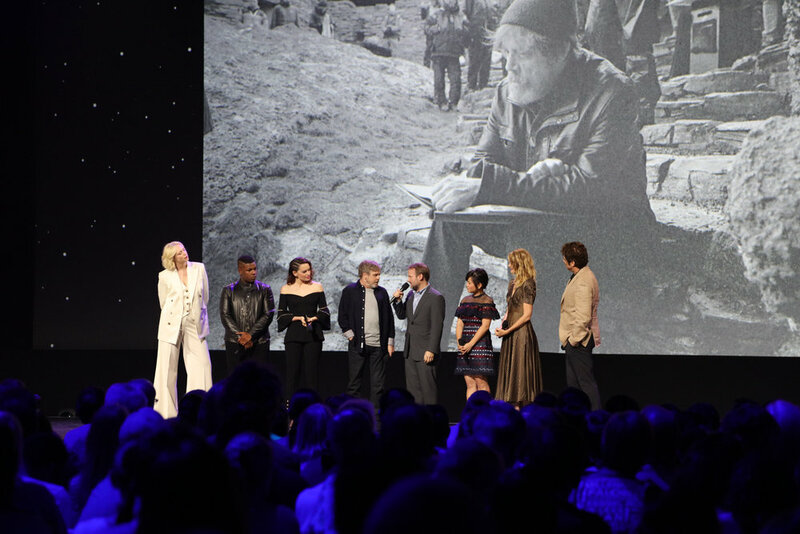 Attendees at the D23 Expo went wild during the live-action film panel. I should know, I was one of them. Fans got to see the opening sequence of Jon Favreau’s live-action Lion King film (I got goosebumps), and a new trailer for Avengers: Infinity War showcasing the might of Thanos. Star Wars fans were also in for a treat when the cast and director Rian Johnson took to the stage for Star Wars: The Last Jedi. There were many fans hoping for a new trailer, but what they got was still exciting with a new behind-the-scenes video. The first half of the video features Ridley and Hamill talking about how they’re surprised at the direction of the story. “And even though everybody knows it’s the second in the trilogy, it feels like its own thing,” said Ridley. Also, Boyega makes fun of Johnson’s Wookiee sound and Fisher talks about how the film’s about family. (That part got me all emotional.) Check out the behind-the-scenes video below. 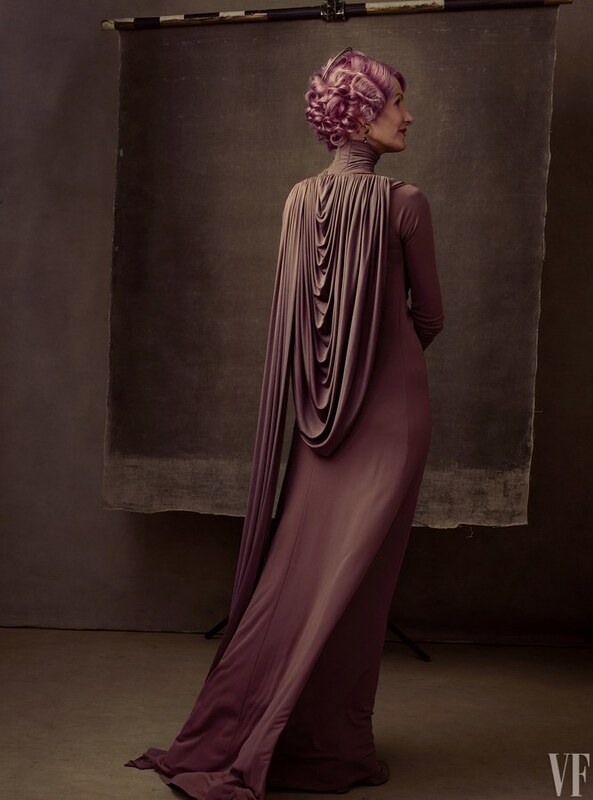 In case you missed it, here are the Vanity photos featuring Dern as Amilyn Holdo and Del Toro as DJ. Synopsis: In Lucasfilm’s Star Wars: The Last Jedi, the Skywalker saga continues as the heroes of The Force Awakens join the galactic legends in an epic adventure that unlocks age-old mysteries of the Force and shocking revelations of the past. The film is written and directed by Rian Johnson. 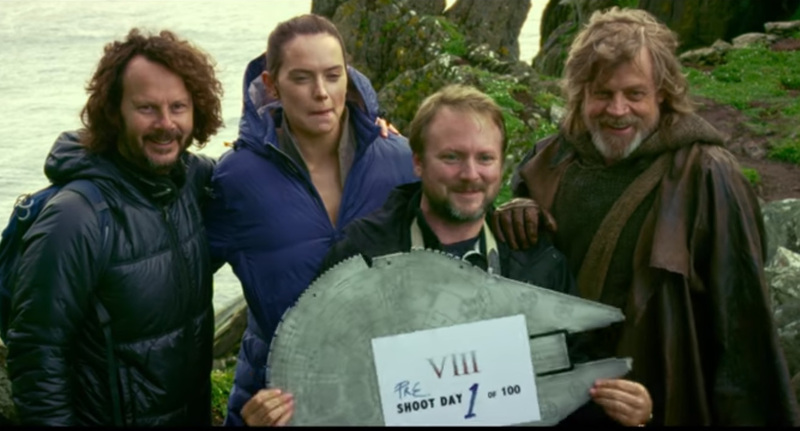 It stars Mark Hamill as Luke Skywalker, Daisy Ridley as Rey, John Boyega as Finn, Carrie Fisher as General Leia, Adam Driver as Kylo Ren, Oscar Isaac as Poe Dameron, Lupita Nyong’o as Maz Kanata, Andy Serkis as Supreme Leader Snoke, Domhnall Gleeson as General Hux, Gwendoline Christie as Captain Phasma, and Anthony Daniels as C-3PO. 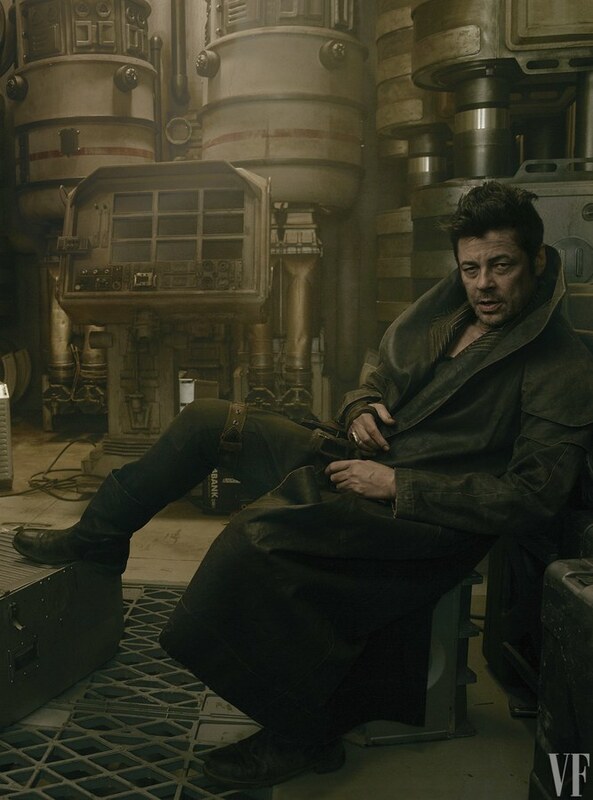 Newcomers are Kelly Marie Tran as Rose Tico, Laura Dern as Vice Admiral Amilyn Holdo and Benicio Del Toro as “DJ”. In addition, you can check out our other D23 Expo coverage here including Star Wars Battlefront 2 and Kingdom Hearts 3.